Iraqi forces are stalled and suffering heavy casualties in their assault on the last Isis fighters defending close-packed buildings in the Old City of Mosul. Civilian loss of life is very high as US aircraft, Iraqi helicopters and artillery, try to target Isis strongpoints in a small area in which at least 300,000 civilians are trapped and unable to reach safety. Isis fighters shoot at government troops from houses and then escape quickly through holes they have ordered people to cut in the walls of their homes, leaving them to face retaliatory fire. In a single district of Mosul this week 237 civilians were killed by air strikes, including 120 of them in one house, according to a Kurdish news agency. The last chapter of the siege of Mosul, which has now been going on for 155 days, is likely to be more bloody than anything seen before. It will certainly end with the capture of the city or what is left of it, raising the crucial question of how far its loss will be a death blow to Isis. It was the unexpected seizure of Mosul by a few thousand Isis fighters in June 2014 after defeating an Iraqi government garrison 20 times as large, that turned the fundamentalist movement into an international force. At its peak, the self-declared Caliphate ruled an area in northern Iraq and eastern Syria as large as Great Britain. Isis had always used terrorism directed against civilians as an integral part of its tactics to show strength, spread fear and dominate the news agenda. Its atrocities – scarcely noticed outside Iraq before the fall of Mosul – have always been primarily directed against Shia victims, blown apart as they shopped in markets or took part in pilgrimages. It was only after the intervention of foreign powers in 2014 and 2015 that Isis extended it terrorist campaign outside Iraq and Syria. There is a thin but definite line connecting what happened in Mosul two and a half years ago and the impulse that led Khalid Masood to carry out his deadly rampage in Westminster this week. In Iraq and Syria, Isis knew that it had to slaughter thousands to spread terror, but in cities like London, Nice, Berlin, Paris and Brussels much smaller attacks would have similar impact. All that was needed was one or more fanatical individuals willing to get killed as a testimony to their faith. It is this willingness to die for a grotesque belief which has enabled Isis and al-Qaeda to wield so much power from the Tigris to the Thames, well beyond what could be expected from relatively small organisations. In conventional warfare, suicide attacks have enabled them to fight armies equipped with aircraft, tanks and artillery. “I cannot think of a single successful armed opposition offensive in Syria which was not led by suicide bombers,” a military expert told me in Damascus last year. This article is being written in Irbil 50 miles east of Mosul where there were no less than 600 attacks by men driving vehicles packed with explosives in the first six weeks of the Iraqi government offensive that began on 17 October last year. There is no doubt that the fall of Mosul will weaken Isis, but the extent and permanence of this weakness is uncertain. Isis portrayed its victories in 2014 as a sign of divine intervention on its behalf and used this as a powerful argument to win adherents. But this claim becomes counter-effective when victory on the battlefield is replaced by defeat. The Caliphate today, battered from a dozen directions, no longer looks anything like the Islamic utopia its founders were claiming to establish and was to serve as a model society for Muslims across the world. The military defeat of Isis in Mosul, combined with the likely loss of its de facto Syrian capital at Raqqa later this year, means that the movement will no longer control a quasi-state more powerful than many members of the UN. At its peak, the Caliphate not only had strong armies but an effective state machine that levied taxes and controlled the lives of five or six million people. Through its propaganda, money and expertise, it could motivate and, to a degree, organise cells and individuals to carry out terrorist acts internationally. As its last urban centres fall and its territories fragment its ability to project its power is much reduced. But Isis is not going to go entirely out of business and one should not underestimate its capacity to survive. It did so before against the odds in Iraq after 2006, when the surge in US troop numbers and the defection of many Sunni Arab tribes, appeared to have all but eliminated it. At the end of the day it is a sect dependent on a core of true believers and not a regular army whose organisation, once disrupted, cannot be easily rebuilt. Isis commanders are experienced soldiers who fought as guerrillas before 2014 and can do so again. Moreover, they must always have known that from a military point of view, Mosul was indefensible because of the massive firepower of the US-led air coalition supporting Iraqi ground forces. The same is true in Syria where Isis is fighting the Kurds, backed by the US, and the Syrian army, backed by Russia. There are already signs that Isis commanders can see the writing on the wall and are moving fighters back into areas outside Mosul north and west of Baghdad where they will fight on. The same process is likely to happen in Syria where Isis is being battered by a myriad of enemies, who do not like each other much but will probably hang together until Isis is defeated. The total elimination of Isis and al-Qaeda type movements in Iraq and Syria depends whether the wars that have torn apart these two countries are coming to an end. Isis and the al-Qaeda clones grew out of the chaos of war in both countries. They also relied on the toleration or covert support of Sunni states like Turkey, Saudi Arabia and Qatar in their early growth period. Without such backing they will have difficulty in doing more than harrying Iraqi and Syrian government forces. We are seeing the end of Isis in Iraq and Syria as a force powerful enough to threaten established governments in Baghdad and Damascus as it was capable of doing less than three years ago. It is still able to inspire individuals like Khalid Masood to make high-profile terrorist attacks which dominate the headlines for days on end, but they do not seem to have a cell structure in place in Europe to carry out more wide ranging attacks. 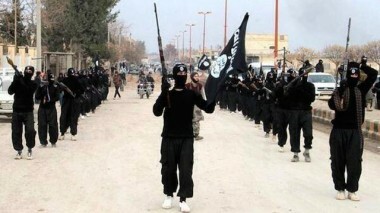 A purpose of the attention-grabbing atrocities carried out by Isis supporters in capital cities is to give an exaggerated impression of the movement’s strength outside its core areas. Isis is facing battlefield reverses in Iraq and Syria that will make it more and more difficult for it to inspire individuals abroad to kill and to die for its monstrous version of Islam. If peace now returns to the region then these defeats are likely to prove permanent. 10 Comments to "Isis' Losses in Syria and Iraq Will Make It Harder for It to Recruit"
We shall fight terrorists We shall create terrorists . Thats the way it works. 1Yet despite these successes, the collapse of the Islamic State’s so-called caliphate will not eliminate the organization or other Salafi-jihadist groups, which will likely continue for years. “Tell me how this ends” then Major General David Petraeus asked in 2003, just after American forces had taken Iraq. This question is just as pertinent today. In the short term, the threat of Islamic State directed or inspired attacks on the U.S. homeland and its allies overseas may even grow. …. The Islamic State is a byproduct of the American intervention in Iraq and also of its subsequent departure. 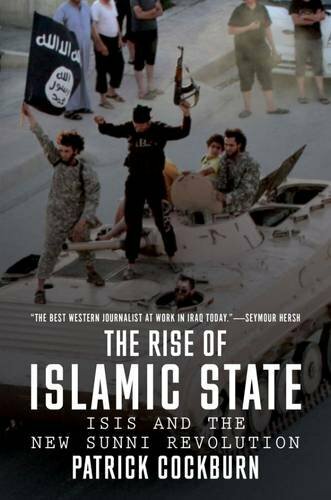 http://fortune.com/2017/03/09/isis-islamic-state-america/ Seth G. Jones is director of the International Security and Defense Policy at the nonprofit, nonpartisan RAND Corporation and an adjunct professor at Johns Hopkins University. James Dobbins, a veteran diplomat who most recently served as the State Department’s special representative for Afghanistan and Pakistan, is a senior fellow and Distinguished Chair in Diplomacy and Security at RAND. i totally agree with cockburn that isis recruiting will drop as we continue to kill civilians in the rubble of mosul. the traumatized sunni youth growing up in refugee camps run by the shia and kurds will certainly be able to process their apocalypse in the understanding fashion the western media desires. cockburns years of experience covering imperial warfare have sharpened his knowledge of the psychology of traumatized and disenfranchised people sorting through the rubble of their destroyed homes to find the corpses of family members. Cockburn is not truthful. Rather he is fiercely loyal to Iranian and Shia causes. He closes his eyes to the unparalleled violence and genocide being committed by them and Russianscin Syria and Iraq. He favors the heterodox minority barbarous regime of Bashar Assad. Slaughter of civilians by Americans is mere collateral damage and not terror form the skies. I am extremely skeptical of any analysis that does not explain why ISIS could capture Mosul in six days with light arms – and yet this siege lasting 25 times longer with the full panoply of western weapons and technology still cannot prevail. As 1500 ISIS men advanced, there were supposedly 30,000 Iraqi troops and another 30,000 police in Mosul to defend the city. It wasn’t just 40:1 manpower advantage – there were millions of civilians, themselves an armed force that was staggering orders of magnitude greater than the ISIS vanguard. The genesis of ISIS, and its long run existence as a theology or mindset has little to do with current battlefield tallies. The Romans just about had nascent Christianity wiped out in its remote corner at the time of the correspondence between Emperor Trajan and Pliny the Younger in 112-113 AD. Two centuries later it was the official state religion across the entire empire and it did pretty well worldwide for the next two millennia. To us in the West, sure – it seems logical that losing a large strategic city would dampen recruitment, so once we mop up the remains of ISIS we can… what? Go home and forget about the whole thing? I don’t think we understand things at all where this religion or mindset is concerned. 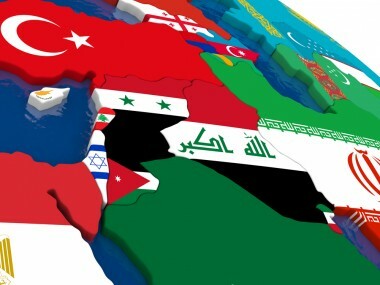 There is too much going on for me to appraise much of anything, but for one thing the Sunni states are by far the largest and most powerful collectively across that portion of the globe and a Shia victory in the short run, in that small area, should not be over-rated in the long run. Especially when that Shia victory is the result of Western power. Our ghastly death toll, e.g. 230 civilians in one airstrike alone, has to be incorporated into any reckoning of the future. After we destroy Mosul in order to save it, and presumably Raqqa afterwards – then what? In some cases. Like Viet Nam, it is amazing how well we are treated now given the utter devastation we caused and despite how quickly the “communists” took over when we left. So I am at a loss to foretell anything, but in any analysis of this matter I need to see a hell of a lot more than a narrow focus on short-term battlefield body counts. Most Americans are apathetic to the Shia/Sunni struggle and wouldn’t know an Alawite from a Suffi.. We saw a relatively stable Syria with a dictator in control and who, mostly for the better, hds kept the country stable for years. Then we see our own administration in cahoots with other regional powers instigate a horrendous civil war there that not only kills hundreds of thousand but also de-stabilizes Europe with a wave of refugee. Our side in the civil war seems to be Jihadi lunatics (head choppers) who use firearms but given their druthers would prefer to get up close and personal and cut bone, flesh and cartilage with cold steel. And then the Russian enter the fray in 2015 and save the day killing jihadi rats left and right and are the good guys. Most Americans, that aren’t neocon nuts, and those who are paying attention to the conflict probably see it this way. That’s the reason the Assad regime’s us of “barrel bomb” nonsense or the fake WMD claims of the summer of 2013 failed to get the US overtly involved in the conflict. Our ghastly death toll, e.g. 230 civilians in one airstrike alone, has to be incorporated into any reckoning of the future. That’s a fairly low death toll. The firebombing of Tokyo killed an estimated 100,000 people in one night. Heck, 9/11 saw close to 3,000 American civilians killed in one day, and that was a deliberate act targeting civilians vs Syria, where civilians were used as human shields, as in the medieval era. The other difference is that in antiquity, combatants used enemy civilians as human shields, whereas ISIS is using friendly civilians as human shields. During WWII, Allied troops routinely used artillery against Axis forces even when the Germans were using Allied civilians as hostages in their own dwellings. The death toll among Allied civilians was pretty high while Allied troops pushed the Germans back towards Germany. In the course of the 10-day battle around Falaise Pocket alone in August 1944, 15,000 to 20,000 French civilians were killed by Allied bombing. Apparently you have not followed either the Middle East wars or Cockburn’s coverage of it. Cockburn is no friend of Shias or Iran. He is totally pro Kurds in general and pro Sunnis when it comes to the Iraqi militias. From your other comments it appears that you have been drinking neocon and MSM Kool-Aid. You sound like you are a Wahhabi plant. The only genocide committed is by your ISIS and Al-Qaeda friends supported by the US intelligence agencies and Pentagon. Syria was a fairly stable country before the US and its Middle Eastern Allies including Israel and Turkey decided for a “regime change” and started supporting and arming the few protesters. ISIS would have run over the Syrian forces if Iran, Hezbollah, and the Russians hadn’t come to Assad’s aid. Interestingly, when the Americans kill civilians it is collateral damage but when Russia does it, it is genocide. What about the minority barbarous regime of Khalifah’s in Bahrain?